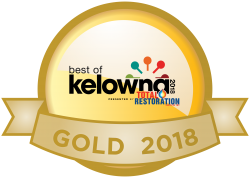 Since expanding the Barbershop side of our salon in downtown Kelowna, we’ve been able to provide even more great service and great products for our clients. 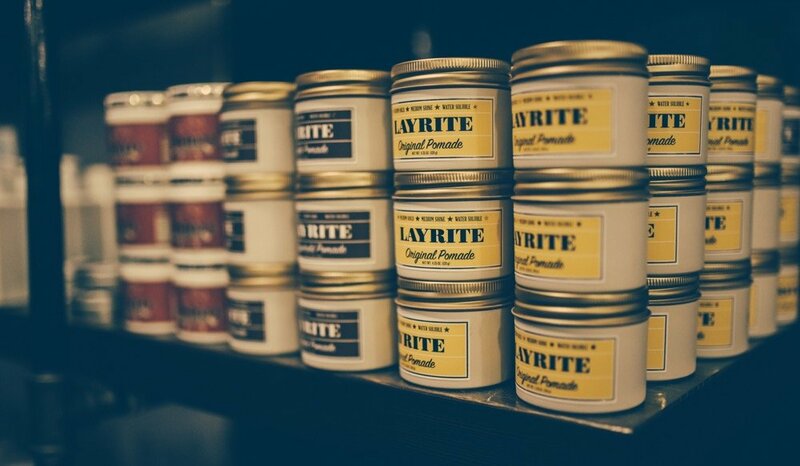 One of our faves is the Layrite pomade and grooming line for its’ concentrated formulation and unwavering ability to deliver deadly style. A dab will definitely do ya and it smells amazing. If you are tired of looking and feeling greasy (even after you wash your regular product out of your hair) you will definitely be impressed with the Layrite line. It offers maximum hold and washes clean! 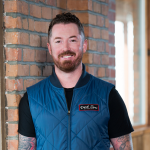 Check out how we achieve our top men’s styles with this amazing product. If finger tousled texture is your current signature style, start out with some Layrite Grooming Spray and a half dab of Layrite Natural Matte Shaping Cream. Create directional volume and sleek separation by blow drying product with your fingers. Begin shaping your quaff by pulling hair into the shape you crave. After your hair is completely dry and cool, work a dab of Layrite Natural Matte Cream between your hands and evenly distribute from roots to ends. Start slow and finish off with some Natural Matte Shaping Cream for extra support and definition. This combination is perfect for looser and more carefree styles. If you notice any portions of your do require extra support or see some dry patches, simply use a light top layer of the Natural Matte Shaping Cream to provide the ultimate finish and longevity. Recreating your favourite salon style at home may take some practice but our PlanB stylists can help you make it happen. Use 5 to 10 pumps of Layrite Grooming Spray as your primer for this style. Begin blow drying at the roots as you use your fingertips to lift and separate sections. Next, pull your hair in a backwards motion out towards your ends and initiate the pomp by keeping most of the height front and center of the hair cut. Once your hair is ¾ dry, finish blow drying with a small round brush with small horizontal sections across the top. Blow dry your hair upwards from roots to ends. Use 2 dabs of Layrite Superhold Pomade between your hands and emulsify the product. Apply with your fingertips from front to back in a backwards motion. Start at the sides first and move towards the center and work your way back. Use more Layrite Superhold Pomade as required to achieve the correct coverage. After establishing a pliable and semi-firm hold to your hair; use your Layrite medium comb to comb hair back and up. Begin at the sides and comb hair sleek to the scalp. When you reach the back, keep combing from the back toward the front; gradually raising the height as you reach the bangs. To achieve the “folded over effect,” use your hand to comb hair up and over and onto your hand and then carefully blend into the existing style. Keep your pomp secure by using a low velocity setting on your hair dryer to firm the base with cold air and ensuring the pomade is completely dry. Finish with some Superhold Pomade over the top to capture fly-aways, increasing shine and secure your style. Capture this classic style that emanates professional vibes. 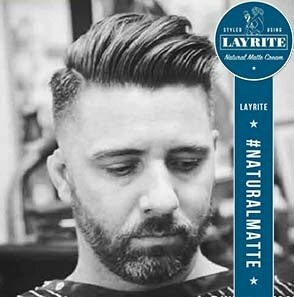 This timeless look relies on Layrite Pomade to maintain your locks. Check out a great video for this clean look here and you will be able to replicate it with some practice. Learning how to love the hair you naturally have been graced with can be a challenge at times. 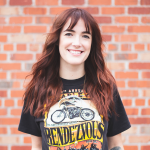 However, the talented stylists and barbers at PlanB Headquarters in Kelowna can help you own your locks and discover techniques and product that will work for your specific hair. Anyone with wavy or curly hair can agree that things don’t always go as planned; however, this perfect pomade can help you tame even the trickiest. 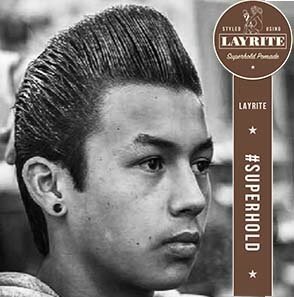 Layrite’s Super Hold Pomade provides you with results you can trust every single time. The parted haircut has been a versatile favourite since its’ inception. It is popular since it compliments the majority of hair types and facial shapes. Many clients can wear this look with zero product and simply go au natural with cooperating hair. Regardless if you are in shorts on the golf course or wearing a tuxedo to a wedding, this timeless look is clean can easy to maintain. The Layrite Pomade is ideal if your hair needs some extra hold to ensure side part stability. The right haircut is the backbone for achieving this style. 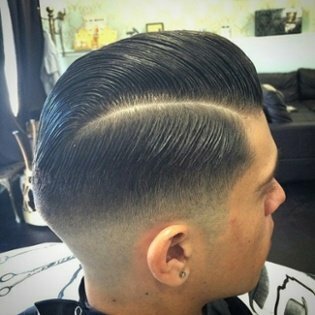 Traditionally, the side part is longer on top and tapered shorter along the sides. Of course, everyone is unique and our team is happy to work from a photo of the look you are hoping to recreate. Our barbers are a talented and creative crew who aim to please! After washing and towel drying your hair, use a round brush and a blow dryer to distinguish where you side part will be situated. Experiment with different areas to make your part and settle on a spot that doesn’t make styling harder than it has to. Choose the fastest and hottest setting to blow dry the top of your hair over to one side with the round brush. Blow dry the rest of the straight side down to establish a side part line; essentially splitting your hair in opposite directions. Continue to blow dry hair on your crown in a straight back motion. Once the front hair is dry you can decide if more volume is required. Simply blow dry the front portion straight up as you grab the hair with the round brush, bending it back a ¼ of a turn. If less volume is desired, blow dry your hair at a diagonal off to the side. Take 2 fingertip dabs of Layrite and distribute between your palms. You can add more if you need to. Apply to your hair in the same manner as you just blow dried it. Push it through the front of your hair and off to the side and the rest straight down. 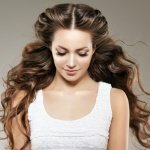 Check that your longer hair on top is flowing seamlessly and not hanging down out of place. Next, use Layrite to help push the crown portion straight back and down. If more volume is desired in the front, push the hair straight back and up with some pomade. Slick hair at a diagonal to the side and back if you prefer less volume. Finish up with a styling comb following the same flow you used when applying the Layrite; combing the top over and side down. Use one hand to comb and the other hand to pat your hair into place as you work your way through. It takes practice but in no time you will be achieving a defined side-part line. Comb the hair on the crown back and down and lastly, comb the front either to the side and back or straight back and up. Finish up with hairspray to hold everything secure. Plan B Headquarters: Ultimate Service, Talented Barbers and Beer! 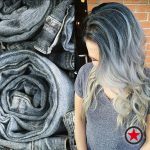 We want you to have fun experimenting with your hair and letting your inner personality shine. Enjoy the possibilities a Spring overhaul can bring! Book yourself in and let’s get down to some serious stylin’ and good times!